Its of great value that some people tested my Spagyric tinctures and Enses and I hope for more testimonials in the future. So I update this from time to time. On this page I post their experiences with them. I’m very grateful that people want to test them and I would like to thank them for their kindness also for taking the time to write about it. I had been struggling for the last two months to come up with a satisfying premise for my first novel. Describing the whole story, while meeting the requirements of a proper premise, in a single sentence is a daunting task for many reasons. I was beginning to feel discouraged, and even despair, as sentence after sentence kept getting trashed, and nothing was coming up right. One night during this time, I decided I needed to adjust my dosage of the Valerian tincture I had received from Peter. I also felt I needed to “tune in” to the energy of the Valerian, so I could perhaps get a reading of how much to increase, and also to connect with the energy and intelligence of the herb as well. The image I got was an egg that was also the moon, breaking open, and a fine vapor pouring out. This vapour was symbolically the energy of the Valerian. I understood a few things at once: that I do not need help with relaxation or sleep. I am relaxed enough; perhaps too relaxed. I also understood that because of this the Valerian would help me with creativity instead. The vapor instead of putting me to sleep, would help fill me with dreams The number nine also came to me, in regards to how many drops I needed to take. The next day, after having taken nine drops that night, the premise I had been struggling for just simply slipped into my thoughts as if it had always been there. I am certain the Valerian helped in a big way. 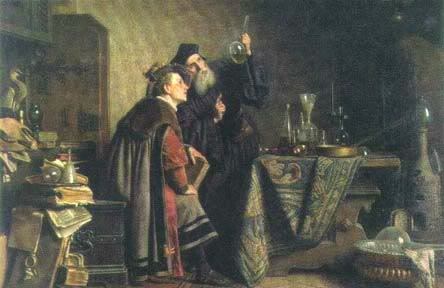 The art of the alchemist does not depend on the recipe or the sequence used, but the ability of the alchemist to create a product which brings about change beyond the chemical nature of the spirit. This was bought home to me when I used tinctures created by the Dutch Alchemist Peter Van Suijlekom. I have made tinctures before with a limited degree of success, but it is not my path. Peter, who lives alchemy, takes these tinctures to another level completely. Peter sent me several tinctures both for people and for myself that I knew and it gave me the chance to see these tinctures in action. In all cases, they were able to bring about changes, even in people who were extremely depressed about the illnesses they were suffering. In all cases taking of these tinctures were the beginning of them becoming well. I personally used his fennel tincture. I have painful acid reflux which sometimes does not go away with normal treatment. It is not pleasant, it is the sort of wake up in the middle of the night vomiting sort of thing. I was reluctant to take the fennel at first because the idea of putting a strong alcohol in my stomach during one of those nights is not something I would instinctively do. I asked the spirit to heal the acid reflux and took the drops and it vanished completely. It has done so every time I have had a bad attack. A student of my was suffering from depression and found that she started to get a handle on her problems when she took Peter’s Melissa tincture. On the whole I think that there is definitely something in the tintures that Peter creates. Magic Order of the Aurora Aurea. A while back, Peter kindly mailed me a tincture of Fennel, which as many know is goverend by Mercury. Initially, I found the effects of the spagyric to be so sublte as to seem almost imperceptable, however, after a few weeks, that would change. First, I must remark that the flavor of the fennel spagyric is wonderful. It has the most full and rounded flavor of fennel, just as good as eating fresh-picked seeds from a thriving plant. After a few weeks of taking the tincture, I began to notice that my thinking became much more clear and lucid, along with a sense of having “greater space” in my head. It also seem liked all Mercurial activities I’d engage in were enhanced, particularly writing, speaking, practicing magic. In fact, I will often take the fennel tincture in conjuction with ritual magic, sometimes taking it before to see how it affects my perceptions, or immediately after as a sort of magical apertif. I also tend to use more of it on Wednesdays to welcome in Mercury’s energy during his day. On a medicinal level, I find the actions/energetics of the fennel have been beneficial. As a carminative, I’ve always enjoyed the flavor and effects of fennel, and this tincture all the more so. It seems to help assist my digestion of food, before or after, and helps to expel wind (as old herbalist referred to gas). Dosage wise, I’ve been taking between 7-13 drops 1-2x a day, and on Wed. 3x a day. I look forward to getting know fennel and her governing spirit better in the months to come with the help of this excellent spagyric preperation. “Mr. Van Suijlekom alchemical work is outstanding. It took me some time to convince him to let me test his well crafted tinctures. I did not regret having done, as I have had very rich interior / spiritual experiences since beginning my one drop every night regime. Besides a calm and relaxed mood, this tinctures clean in a very harmonious way the psyche. Which is good, as we all have work to do and do not want to go through aggravating circumstances while fulfilling our daily responsibilities. I hope that Mr. Van Suijlekom will continue with his good work for many years to come ” – M. P. Cotto. Had veel last van maagzuur s avonds voor het slapen gaan heb veel baat gehad van Fennel spagyric tinctuur ,helemaal geen last meer en ik kon heerlijk slapen. I am grateful for your website. Was trying to find out how long it takes for you to get the Salt of the plant say rosemary from the light grey ash to white salts. I know that purifying the Salt is the first step before the wedding of the King/Queen and requires great patience and ingenuity. Is there a way to speed up the process? I noticed that the whitening of the Salt was really fast with the thyme but not as fast with the basil. Is there an average time it takes to purify the Salt of Salts that you look for based on your experience or does it depend on the plant ?